Oklahoma totaled 672 yards of offense against Texas -- 282 on the ground and 390 in the air. WR Dede Westbrook caught three touchdowns, including a 71-yarder, and racked up 232 yards on 10 receptions. RB Samaje Perine went over 200 yards as well, for two scores. The Sooners’ 273-yard third quarter ranked fifth all time for OU offensive production in a quarter. 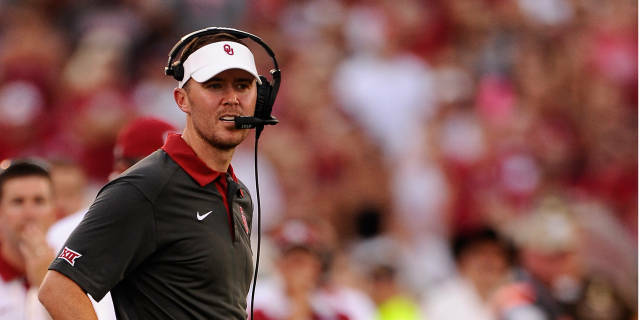 Even so, Oklahoma offensive coordinator Lincoln Riley isn't happy. "We still make so many mistakes, and we're still a work in progress," he said Monday. The Sooners’ first half didn’t look nearly as pretty as their second half. OU’s first three drives Saturday ended with a missed field goal attempt and two interceptions. A fumble ended the team's first drive of the second quarter as well.